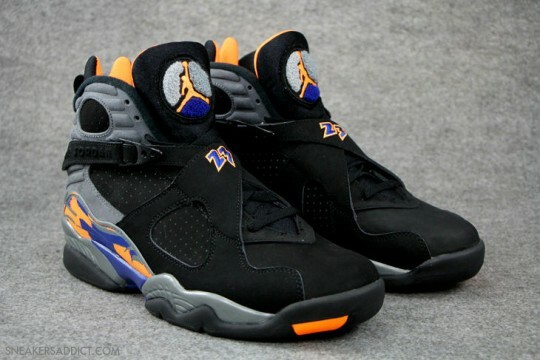 The Air Jordan 8 Phoenix Suns released back in 2013 creating a lot of buzz. In an attempt to create more popularity for the Air Jordan 8, the classic silhouette saw a few retro colorways and a few new ones as well. This particular iteration sports a Phoenix Suns inspired appearance including a black nubuck upper, grey finishes, and blue/orange accents boldly displaying the team's colors.